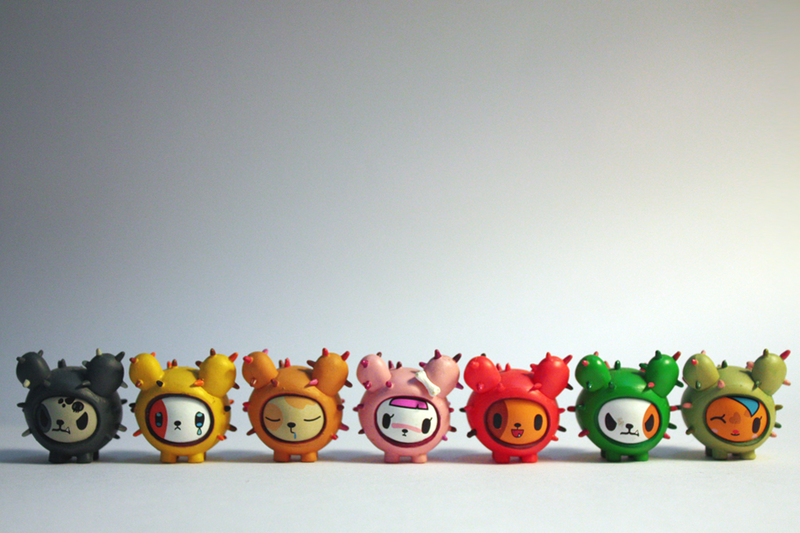 Cactus Pups are also tokidoki characters.... im soooo loving tokidoki vnyl toys! The Cactus Friends family expands with these new lovely puppies - meet the CACTUS PUPS! Each Cactus Pup is a petite and cute 1 inch tall, and is packaged with a special accessory - dog bowl, soccer ball, sausage, and more. Quite the line up Jaydee. They are very likeable. You must have quite a collection of these little characters. ohh I want the red one :) look how happy it is. Very cute. I like the repetition! Looks great shot against the white background. Nicely lit. I have a load of these we got in a bar in melbourne -i'll have to dig out the pic, i loved them! Great photo, love the lighting & simplicity. omigosh...super dpuer cute naman nito, jaydee. may accessories pa! i wanna see those, btw. i love their colors against the white background. ikaw ba nagbigay ng pangalan sa kanila? So cute! Love the line up and the colorfulness! I've never seen these!! Now I want some. Great shot! I love it! Who comes up with the idea for such cute little things like these?! "Cactus" and "Pups" would seem to be two mutually exclusive words, but how cute the pairing is! I loev the way you lined them up for a photograph...very youthful & playful! Brilliant photo and I love the colours, good use! I love taking pictures of toys and these make a great grouping ! Nothing better then models who cooperate ! Aww adorable! :D Love little things like them! hahaha cathy - im soooo agree! Fun shot ~ love this! AWWW they are so cute!